Take a look at this 1998 Mississippi 11,600GAL 250PSI. It is Stock# 7011901 at TruckerToTrucker.com. Like new condition. 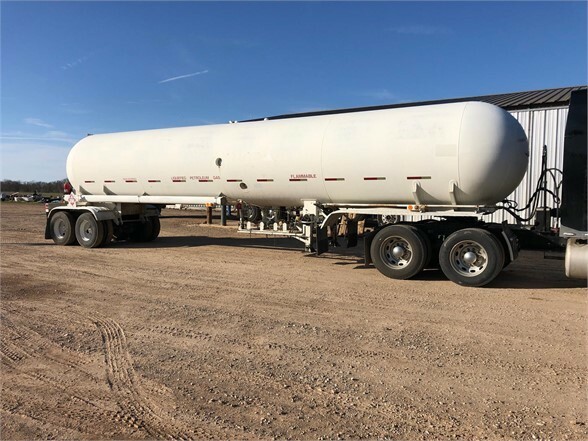 8 trailers remaining.. 2014 Countryside trailers -10600gal -265psi -Air ride suspension -All aluminum wheels -Set up to haul LP. Call Chris: (404)-860-2201 COMO NUEVOS. 8 trailers disponibles.. 2014 Countryside trailers -10600gal -265psi -Suspencion Air Ride -LLantas de aluminio -Listos para transportar LP.